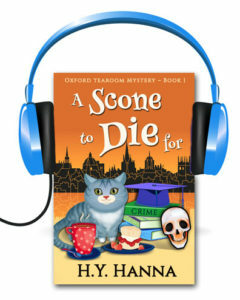 I’m very excited to announce that A Scone To Die For will be coming out soon in audiobook format. I’ve been busy auditioning different narrators in the past two months and I’ve finally found the perfect voice to bring the books to life in audio! Pearl Hewitt is a talented British voice-over artist – who happens to live in Texas, actually! – and she is starting work on recording the chapters this week. We’re hoping that the audiobook will be ready for release in August. I’ll have some FREE review copies to give out to any audiobook fans who can leave a review on Audible.com – so keep an eye out in upcoming newsletters for your chance to snag a free review copy of the new audiobook.